Quarry Hill Flats, once both the pride and shame of its city of Leeds, was an iconic Modernist symbol of the 1930s. It marked the first use of a prefabricated building system for a large-scale council estate, replacing a notorious slum. But it lasted barely a generation – its complete demolition was announced as Alison Ravetz was finishing this study. 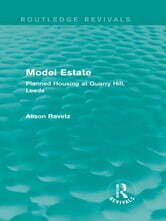 First published in 1974, this book is unique in its use of all estate records from conception to destruction, as well as in its comprehensive approach, including aspects usually missing in council housing studies – notably the intimate experience of residents, and a fraught, long-drawn-out building period. 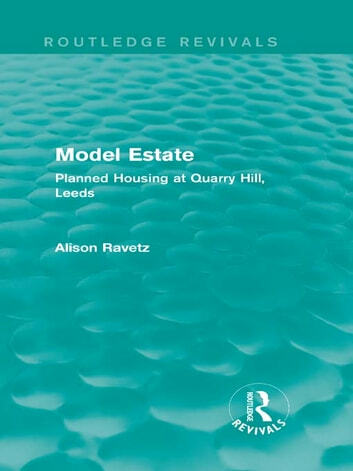 Ravetz argues that the Flats’ ‘failure’ was due not to social breakdown, as repeatedly alleged, but rather to a rigidity of design and management unable to accommodate gradual, incremental change. This has continuing implications for the operation of bureaucratically designed and controlled ‘social housing’ today.